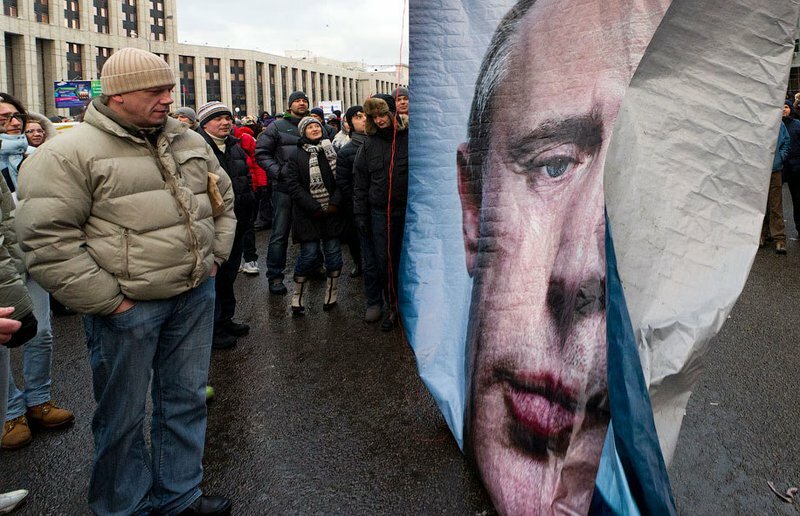 Russians keen to punish Vladimir Putin at the polls on March 4 have four opposition candidates to choose from, but all are tarnished in some way by their links to the government. Grigorii Golosov analyses what voting strategy will work best to build on the momentum of this winter’s protests, and cautions against accepting any of the candidates’ claims to be true opposition material. On March 4, Russians will elect their new president, choosing from the five registered candidates. One of these is Vladimir Putin, currently prime minister and previously president. He has been nominated by the ruling party, United Russia. The other parties represented in parliament have all put their leaders forward as candidates: Gennady Zyuganov for the communists; Sergei Mironov from Fair Russia; Vladimir Zhirinovsky from the Liberal Democratic Party. 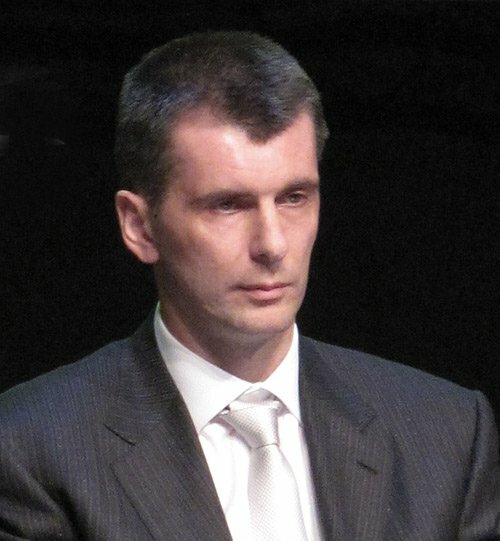 The last registered candidate is billionaire Mikhail Prokhorov. A number of other people, including the leader of the Yabloko party, Grigory Yavlinsky, put themselves forward for election, but were rejected as candidates by the Central Elections Committee. The question of who can stand for election is determined to some extent by Russian electoral legislation. Parties represented in parliament have the right to propose a candidate, while others need to collect two million signatures in their support. There is a widespread view, which I share, that it is technically impossible to collect so many signatures in the time allocated for this procedure. And if a candidate manages to present the required number to the Central Elections Committee, it is only because since the 1990s it has been possible in Russia to augment the lists of supporters needed on such occasions by accessing digital population databases and photocopying signatures. Of course the signatures “collected” in this way can be ruled invalid when the committee vets registration applications. In other words, the electoral legislation creates a situation whereby only candidates approved by the authorities can stand for election. In Russian political jargon this selection process is known as “filtration”. For candidates from parliamentary parties, it is the parties themselves that do the filtering. If a party has been admitted to parliament, it is a sign that it is licensed by the government and presents no threat to the official presidential candidate. Two of these parties, the communists and liberal democrats, are hangovers from previous stages of Russia’s development. The larger of the two, the Communist Party, retains its commitment to traditional communist values, with a bit of nationalism on the side. This ideological stance is shared by only a minority of voters, and is totally unacceptable to a significant proportion of the population. The party’s leader, 67-year-old communist apparatchik Gennady Zyuganov, has already lost several presidential elections. His anachronistic public image and style of rhetoric cut little ice in today’s Russia. 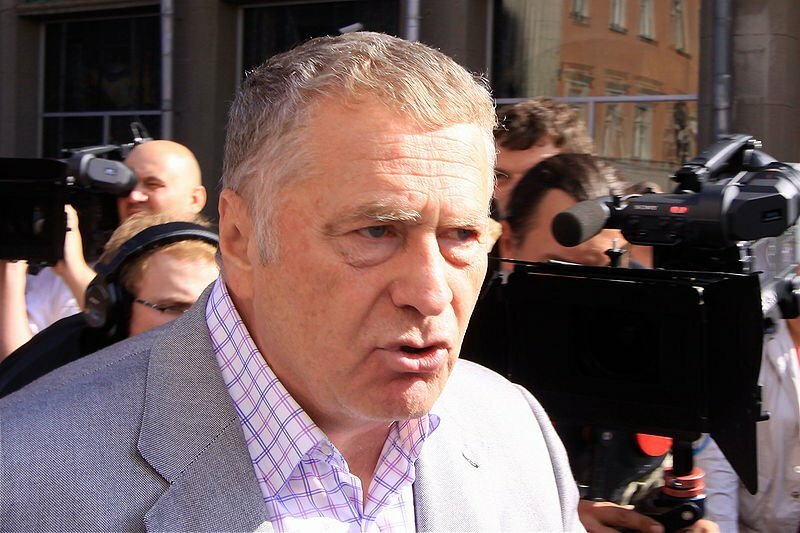 The Liberal Democratic Party of Russia is the private political machine of its leader, Vladimir Zhirinovsky. He is an experienced and pretty effective populist, but his eccentric behaviour and long history of public scandals and irresponsible pronouncements make him a weak candidate for president. Like Zyuganov, Zhirinovsky has a long history of standing in presidential elections, where his percentage of the vote has been consistently lower than that of his party in parliamentary elections. This shows that the people of Russia – even those who have a generally positive view of Zhirinovsky’s role in parliament – do not see him as presidential material. Indeed for a considerable proportion of the public Zhirinovsky’s candidacy is just as unacceptable as that of Zyuganov, or perhaps even more so. Moreover, his credibility as an opposition candidate is doubtful, since he has spent his long career toeing the line of whoever was in power on all points of the political agenda of any significance to them. The opposition credentials of the third party candidate, Mironov, are even more suspect. Although he has considerable experience as a local politician in St. Petersburg, he owes his national political career entirely to Putin, who brought him into his circle in 2000 by arranging for his election as speaker of the upper house of parliament, the Federation Council. 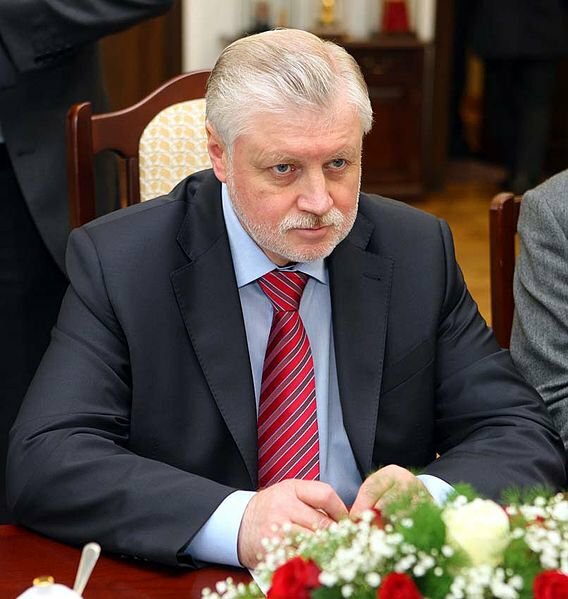 In that year Mironov had his first experience of standing for president, as a stand-in candidate, in other words someone whose role was to ensure that an election would take place even if the other opposition candidates dropped out. During his campaign Mironov openly encouraged the public to vote for Putin. Subsequently Mironov, while remaining chairman of the Federation Council (and therefore responsible for passing any legislation approved by Putin), became leader of the Fair Russia party, which was for some time seen as “the ruling party’s left leg”, that is to say a left of centre party supporting Putin. Fair Russia’s main function was gradually to edge the Communist party out of the political arena, which it did with the Kremlin’s full support. It was only in the spring of 2011 that Mironov lost his role as speaker of the upper house. He then announced that Fair Russia was turning into a “genuine” opposition force. In any case, Mironov is not very convincing as a public politician. The only candidate not representing a political party who has been permitted to stand is the billionaire Prokhorov. Prokhorov’s political career began last year, when he was for a time leader of the Right Cause party. Even then it was no secret that Prokhorov’s emergence as a politician was helped along by the Kremlin, which hoped it would encourage the urban middle class to become involved in the political process. That strategy, however, was soon dropped, and Prokhorov was kicked out of his job as leader of Right Cause. 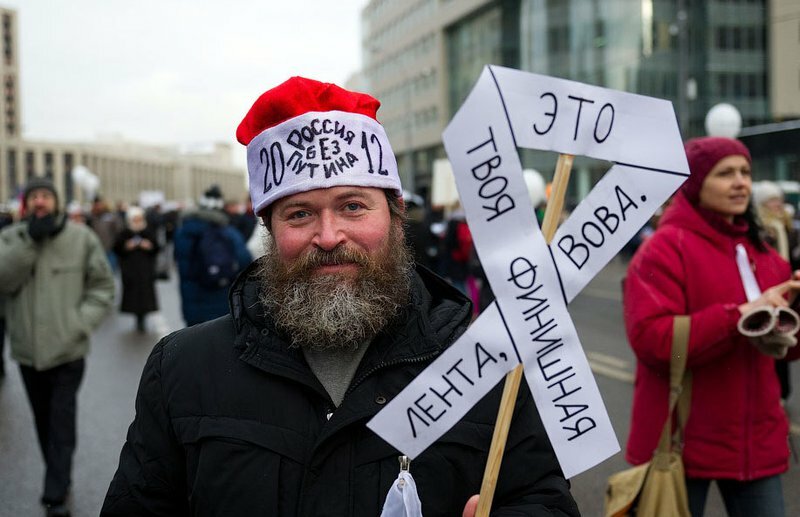 Evidently, after United Russia’s poor showing in the general election of December 4, 2011 and the protest rallies that followed, the Kremlin decided to revert to its previous plan. Even Prokhorov himself does not deny that his candidature is in the Kremlin’s interests. Putin has also made positive noises about him. And so on March 4, the Russian electorate has to choose between Putin and four politicians, all of whom have significant shortcomings in the eyes of the general public. Naturally, in this situation, the role of the presidential administration and Putin’s campaign managers is to ensure that he collects more than 50 per cent of the vote, thus avoiding the need for the election to go to a second knock-out round between the two leading candidates. On Russian television, which is completely under government control, Putin’s face is already rarely off the screen. And although in Russia campaigning by candidates is theoretically strictly limited, these limitations do not apply to Putin, as it is considered that even if his activities are of a frankly campaigning nature, they are being broadcast because he is prime minister, and not because he is a presidential candidate. This allows the Russian media to do all they can to convince the public that there is no alternative to Putin. The only non-partisan candidate is Mikhail Prokhorov. The December 4 results suggest, however, that a victory for Putin in the first round is not inevitable, even taking into account the weaknesses of the other candidates. Russian voters are still angry with Putin standing for a third presidential term and dismayed by the prospect of his occupying power for another twelve years. Widespread ballot-rigging at the December 4 election provided an extra impetus for public discontent, and Putin’s rhetoric about his ability to solve his country’s problems no longer fools anybody, since it begs the obvious question about why these problems have not been solved during the last 12 years of (official or de facto) Putin rule. The mood of the Russian public is not, of course, the sole factor that will influence the outcome of the presidential race: the extensive mobilisation of voters and electoral fraud will also play their part. The main players here are the presidential administration team, which decides on the target figures for the election results; the regional authorities, which secure the required results on the ground, and the Central Elections Committee, which publishes the results and justifies them to the public. These three players remain in the field. The government has refused to pension off the Committee’s chairman, Vladimir Churov, whose behaviour has enraged the protesters. To top it all, this line of strategy is now headed by Vyacheslav Volodin, known for his brutal management style and insistence on results at any price. The outcome of the election cannot, however, be considered a foregone conclusion. At the parliamentary elections the target figure for United Russia was 65%, but in the end it had to be satisfied with a more modest 49.3%. A decisive role in this was played by the strategy dreamed up by Alexey Navalny, that people vote for “any other party” – i.e. any party other than United Russia. Although options were limited to the same parties (plus Yabloko) that have registered candidates for the presidential election, the strategy brought results. A significant number of people voted tactically, for the “official opposition” parties, on the correct assumption that this would damage United Russia. Could one hope for a repetition of this effect at the presidential election? And what strategy should the unrepresented “unofficial” opposition adopt? At the protest rallies on Bolotnaya Ploshchad and Sakharov Prospect the slogan “Not one vote for Putin” was pretty widely heard. This position is not, however, the equivalent of Navalny’s strategy, in the sense that it is purely negative. It could, for example, be understood in a wider sense, as a call for a boycott of the election. Fortunately there are few elements of any significance left in the Russian opposition who would support a boycott. The events of December 4 were conclusive proof of the inadequacy of such an approach. But that leaves two possible strategies: either to repeat the tactical voting principle of the parliamentary elections and call for people to vote “for any other candidate”, or to decide to support one of them. For example, political writer Andrey Piontkovsky’s idea of a “transitional president”, where opposition-minded voters support a candidate who promises if elected to meet certain conditions, has been the subject of much discussion. Lists of conditions usually include wide-ranging liberalisation; the dissolution of the post-December 4 parliament and its replacement by a new one elected according to democratic principles; support for constitutional reform and, most importantly, a commitment by the candidate not to stay in power for his full six-year term, but to resign earlier and call new, again democratic, elections. It must be said that the presidential candidates have shown a fair amount of interest in this proposal. 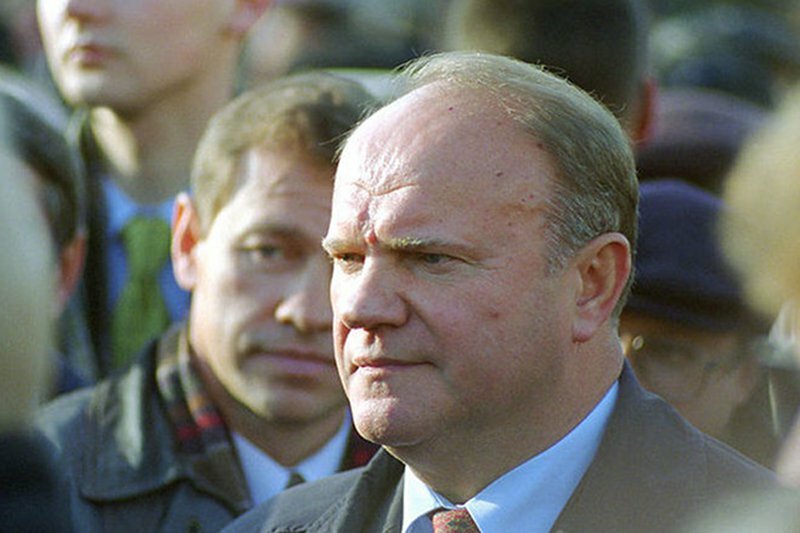 It has been largely incorporated into an agreement made by Zyuganov with one of the leaders of the unregistered Left Front movement, Sergei Udaltsov, although Zyuganov has not agreed to resign before the end of his term. Mironov has also accepted practically every condition, and has stated openly that he is ready to become a “transitional president”, i.e. to resign early. Prokhorov, who is keen to be seen as the leader of the protest movement, has also agreed to some conditions, including the dissolution of parliament, which is hardly surprising if one considers his function from the Kremlin’s point of view. In short, an alternative to Navalny’s strategy seems to be emerging: support for one candidate. To assess the potential effectiveness of this strategy, one has to bear in mind that it is in some ways a pseudo-alternative. After all, on December 4 the vast majority of the electorate did not cast their votes at random, but decided in advance which candidates represented the “least worst” option. Each person, one might say, voted for his or her own “transitional party”. So in terms of individual choices the two strategies have much in common. It is however important to grasp the difference between an individual voting strategy and a political call to arms aimed at a mass audience. The “vote for any other party” option implies that each voter is free to decide which party best represents his or her views. These perceptions may be dramatically different from those of opposition leaders. In December a substantial number of people contributed to United Russia’s loss of support by voting for the Liberal Democratic Party, despite its obvious shortcomings. This does not contradict Navalny’s strategy. An appeal to support one particular candidate does, however, imply some voters’ denying support to their first choice candidate. These voters will then either abstain from voting at all, or will give their vote to Putin, since some of them may find the opposition’s chosen “transitional president” completely unacceptable. The fact is, of course, that in the first round any vote not given to Putin is a loss for him. So in terms of the opposition’s primary goal – to cause the greatest possible harm to the official candidate – it is the “voting for any other candidate” option that will be most effective, whereas any strategy aimed at artificially limiting the voters’ range of options will be counterproductive. If Putin gets 49% of the vote in the first round, then it makes no difference whether his nearest rival has 40% or 20%. The outcome of the election will be decided by the second round. A second round is what we are actually fighting for. And even if we don’t achieve that, the parliamentary election results have shown that the less decisive the victory of the official candidate, the greater the strategic opportunities available to the opposition, and the more concessions can be wrung from the government. From that point of view, the most effective strategy is to vote for any other candidate. The second lesson learned from the parliamentary campaign was that this strategy must be accompanied by civil action, both in the form of mass protests against electoral fraud, and especially in active attempts to prevent it by observers at polling stations on the day. This, and not a desperate search for the most acceptable candidate, is our best chance of retrieving from these undemocratic elections at least something of benefit to Russia’s future development.